This capacity of his was on full display that day in London when he spoke about Shelley’s use of language. I have read many books on the subject and for the most part they descend into almost impenetrable jargon from the get go. Not O’Neill. He also has a mellifluous speaking voice and could read poetry like no other. You don’t need to take my word for this - with the permission of the conference organizers I recorded it! I urge you to set aside some time to listen to one of THE great romantic scholars speaking on a subject near and dear to his heart. It will change the way you think of Percy Shelley and it will help us to keep the memory of Professor O’Neill alive. Professor O’Neill wrote extensively in his subject area. Two of my favourite books of his are The Human Mind's Imaginings: Conflict and Achievement in Shelley's Poetry and Percy Bysshe Shelley: A Literary Life. Do yourself a favour, find these gems and spend sometime with them. Professor O’Neill delivered the third and final keynote of the Shelley Conference 2017, and takes us on an extraordinary excursion through Shelley’s prose. Alighting on works such as A Defense of Poetry, On Life, Address on the Death of Princess Charlotte, A Philosophical Review of Reform, On Christianity, and Speculations of Metaphysics, O’Neill conveys a deep and abiding knowledge and love of his subject. He offers common sense, close readings which bring Shelley alive and illustrate what he calls Shelley’s "drama of thought". The first 15 minutes set the scene and once O’Neill hits his stride with a magisterial reading of An Address to the People on the Death of Princess Charlotte, we are comfortably in the hands of a master who takes us on a tour of Shelley’s metaphysical, polemical and religious ruminations. 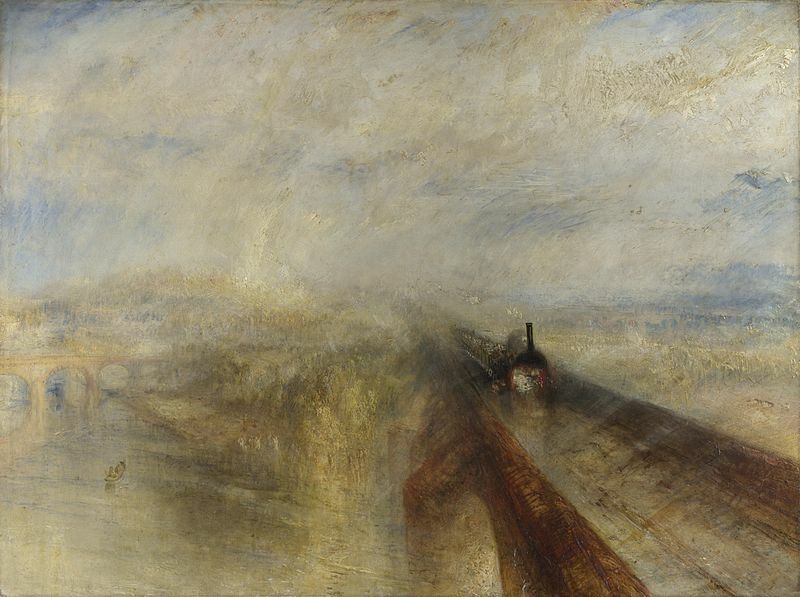 Rain, Steam and Speed, JMW Turner. I think Turner's approach to his painting resonates with Shelley's approach to his poetry. Can you see how? Professor O'Neill's keynote digs into how Shelley uses language to challenge custom and habit; or, as O’Neill puts it, to "invite [his readers] to reconsider the world in which we live." This, to me, strikes at the heart of Shelley’s entire output; this was a man who believed that poetry (or more generally cultural products) could literally change the world. I have written about this here and here. Thrones, altars, judgement-seats, and prisons; wherein, and beside which, by wretched men were borne sceptres, tiaras, swords, and chains, and tomes of reasoned wrong, glozed on by ignorance, were like those monstrous and barbaric shapes, the ghosts of a no-more-remembered fame, which, from their unworn obelisks, look forth in triumph o'er the palaces and tombs of those who were their conquerors: mouldering round, these imaged to the pride of kings and priests a dark yet mighty faith, a power as wide as is the world it wasted, and are now but an astonishment; even so the tools and emblems of its last captivity, amid the dwellings of the peopled earth, stand, not o'erthrown, but unregarded now. 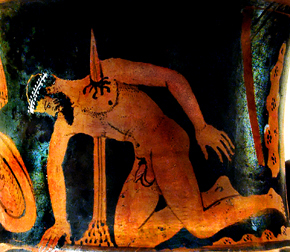 And those foul shapes, abhorred by god and man, -- which, under many a name and many a form strange, savage, ghastly, dark and execrable, were Jupiter, the tyrant of the world; and which the nations, panic-stricken, served with blood, and hearts broken by long hope, and love dragged to his altars soiled and garlandless, and slain amid men's unreclaiming tears, flattering the thing they feared, which fear was hate, -- frown, mouldering fast, o'er their abandoned shrines: the painted veil, by those who were, called life, which mimicked, as with colours idly spread, all men believed or hoped, is torn aside; the loathsome mask has fallen, the man remains sceptreless, free, uncircumscribed, but man equal, unclassed, tribeless, and nationless, exempt from awe, worship, degree, the king over himself; just, gentle, wise: but man passionless? -- no, yet free from guilt or pain, which were, for his will made or suffered them, nor yet exempt, though ruling them like slaves, from chance, and death, and mutability, the clogs of that which else might oversoar the loftiest star of unascended heaven, pinnacled dim in the intense inane. I believe that rendered into a prose format, the poetry scans much more easily. Try it yourself - read it aloud both ways. I think Shelley's models for this sort of speech were the classical Greek dramatists. I am thinking, for example, of some of Sophocles' lengthy speeches in, say, Aias. As an actor or reader, you must manage your way through two densely packed sentences with nested sub-clauses and hope to come out the other side alive. This is not easy. But it is easier if you convert the lines of poetry into paragraphs. Then, to my mind, the speeches flow on, beautifully and serenely - like a sylvan river! It does not surprise me to find Shelley challenging the boundaries of convention. At the outset, O’Neill makes it clear that he is not taking us on a voyage into Shelley’s belief system – he challenges us to read him not to determine "what system of thought we can gather" from his prose or to distill "Shelley’s essential tenets", but rather "to live with the words, to see the process of the mind at work". For me, this was a novel and refreshing approach. O’Neill wants us to see "the way he uses language and see the way he delights in language". Shelley, he notes, plays with words to "free the mind from its own constructions". The world must be transformed in imagination before it can be changed politically, and here it is that the poet can exert an influence over “opinion.” This imaginative recreation of existence is both the subject and the intended effect of Prometheus Unbound. As with his poetry, so it is with his prose. Shelley is asking us to read, engage and be present. Shelley expects us to reinvent ourselves and therefore the world around us because as O’Neill so trenchantly observes: "we live the lives we lead because of the thoughts we think". Sketch of Percy Bysshe Shelley by Edward Williams. This drawing most closely resembles Leigh Hunt's late-in-life description of him. This is why many readers find Shelley confusing. It is because words are often wrenched out of their context and applied in circumstances that are novel or counter-intuitive. He holds words up like objects to be marveled at and examined from all sides. A good example of all of this occurs in one of my favourite segments: O’Neill’s consideration of A Philosophical View of Reform which starts at 27:30. Shelley was, as O’Neill remarks, "always battling with what he takes to be illusory or self-deceiving modes of thinking that are embodied in the language of politics". This was particularly important for Shelley because as a republican his goal was to upend the existing political order: monarchy. To accomplish his task, Shelley undertakes what O’Neill calls a "deliberative but explosive assault" on the concept of "aristocracy". Shelley asks at the outset "why an aristocracy exists at all"? He goes further and questions why we even have the very word. In what O’Neill refers to one of Shelley’s wittiest passages, Shelley goes on to define "aristocracy as that class of persons who possess a right to the labour of others without dedicating to the common service any labour in return". Shelley considers the mere existence of such a class as a "prodigious anomaly in the social system". Shelley’s goal, it would seem, was to rob the word of its power or fascination – a goal he seems singularly (and sadly) to have failed to achieve given the fact that 200 years later England is class-ridden and burdened with a noisome, irksome, entitled aristocracy. But we can applaud him for the attempt. Michael O’Neill is to be commended for a thrilling glimpse into the mind and heart of Percy Bysshe Shelley. I left the conference with a renewed interest in Shelley’s prose and a new method of approach. If we can approach his prose without seeking definitive philosophical statements or conclusions; then perhaps we can free our own minds from custom and habit. Sir William Drummond. After Arminius Mayer. Hand coloured engraving, early 19th century. I also think such an approach suits Shelley’s formal skeptical agenda. Shelley was a skeptic in the tradition of Cicero, Hume and Sir William Drummond. 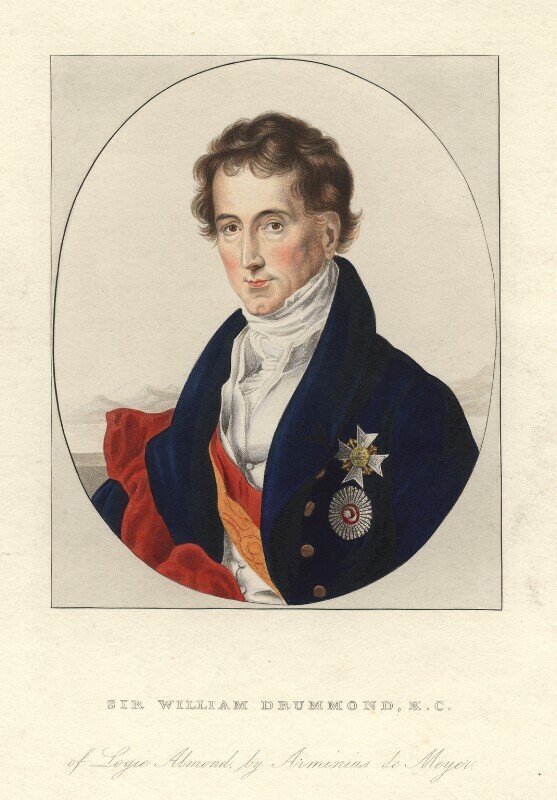 He actually met Drummond in Rome in 1819. He read, re-read and extensively commented upon Drummond's writings during a period of time that was co-extensive with his entire philosophical output. Drummond's book, Academical Questions was his favourite work of contemporary philosophy. He was deeply suspicious of what the Greeks called doxa (“opinion”) and believed opinion to be the foundation of organized religion and therefore most of the world's woes. He advocated suspension of judgement and applied the doctrine of lack of certainty to most of his worldly interactions (in the Greek, epochê and akatalepsia, respectively). He wrote of the "prodigious depth and extent of our ignorance respecting the causes and nature of sensation". This was also tied to his political theory as he linked skepticism (which questions all dogma) with political liberty and ethical behaviour. Professor O’Neill’s presentation will appear in a new book, Shelleyan Reimaginings and Influence: New Relations - to be issued by Oxford University Press at the beginning of March.. You can read more about it here and pre-order it. You can also pre-order his final book of poetry, Crash and Burn; it is coming out in April. Or, even better, ask your local bookseller to order these books for you. Thank you Michael, you will be sorely missed and the world is much impoverished by your departure. This presentation of Professor Michael O'Neill's keynote was done with both his permission and that of the Shelley Conference 2017. Michael was a Professor of English at Durham University. He was Head of Department from 1997 to 2000 and from 2002 to 2005. From 2005-11, he was a Director (Arts and Humanities) of the Institute of Advanced Study (IAS) at Durham University; he served as the Acting Executive Director of the IAS from January 2011 until May 2012. 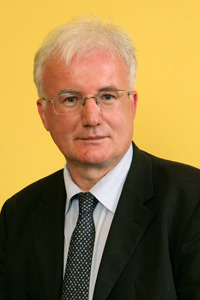 He is a Founding Fellow of the English Association, on the Editorial Boards of the Keats-Shelley Review, Romantic Circles, Romanticism and Victorianism on the Net, Romanticism, The Wordsworth Circle, and CounterText, Chair of the International Byron Society's Advisory Board and Chair of the Wordsworth Conference Foundation. In 2005 he established and was Director of an intra-departmental research group working on Romantic Dialogues and Legacies. He has written many books on Shelley, including The Oxford Handbook of Percy Bysshe Shelley, Percy Bysshe Shelley: A Literary Life and The Human Mind's Imaginings: Conflict and Achievement in Shelley's Poetry. Read more about him here. Multiple parallel panel sessions allowed the organizers to present a wide range of exciting papers delivered by researchers from the UK, Europe, and beyond, as well as three featured presentations by eminent Shelley scholars: Kelvin Everest, Nora Crook and Michael O'Neill. These are some of the "superstars" of the Shelleyan world.